We’ve been having great fun over the Summer holidays with Quercetti Marble. 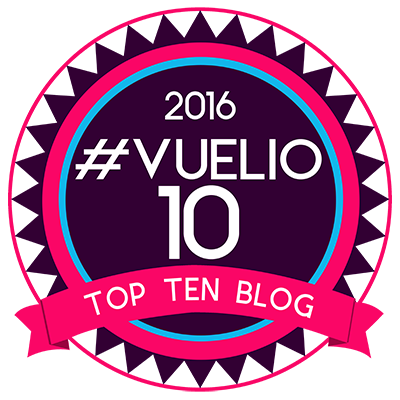 This has brought us lots of enjoyment and family fun. We have another review and giveaway with being part of the Asobi Ambassadors program. This months toy was definitely one of our favourites. Last month we got to review and giveaway Safari Ltd Toys, then the fun and high flying Curiosity Kits Rocket Launcher, the previous month the fantastic PL-UG Ultimate Den Building Kit and the month before the Seedling Colour The Globe. 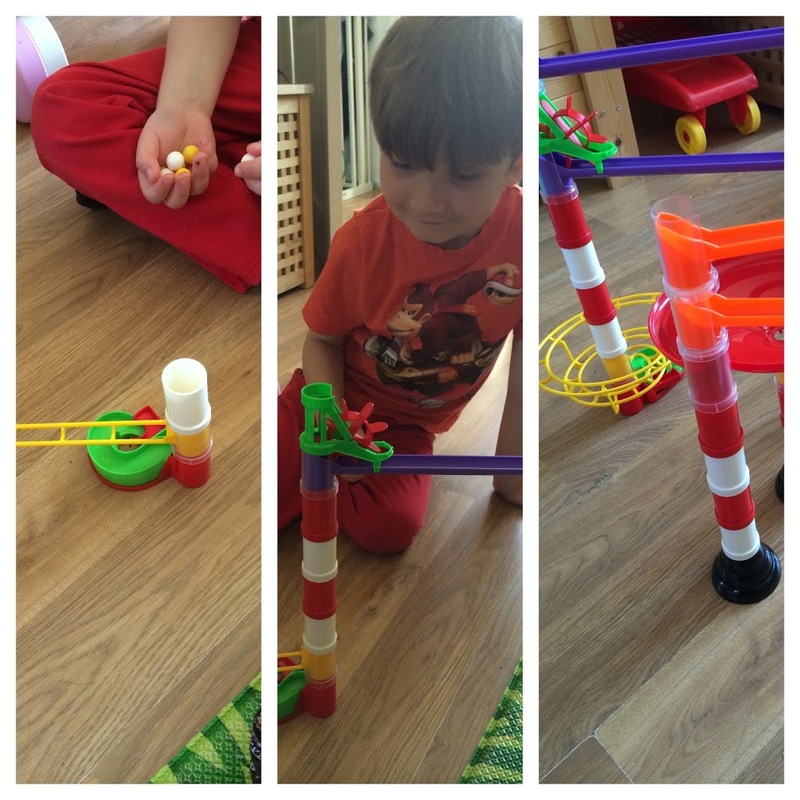 This month we got to have lots of fun playing with the Quercetti Marble Vortex Run. We even have one of these sets to give away to one lucky reader. I love marble run kits, I remember then as a child, ok they weren’t as fancy as they are now, but they did the same job. When I first opened the box I was surprised by how many pieces there were, even though it says it on the box, it still looked a lot more than first anticipated. I was thinking it’s going to take hours to build and the boys would get bored. I was wrong, I admit. The instructions were simple and easy to follow. While baby girl slept we set to work. I mainly followed the picture on the box once we’ve gotten the initial bits and pieces out of the way. I found this easier. 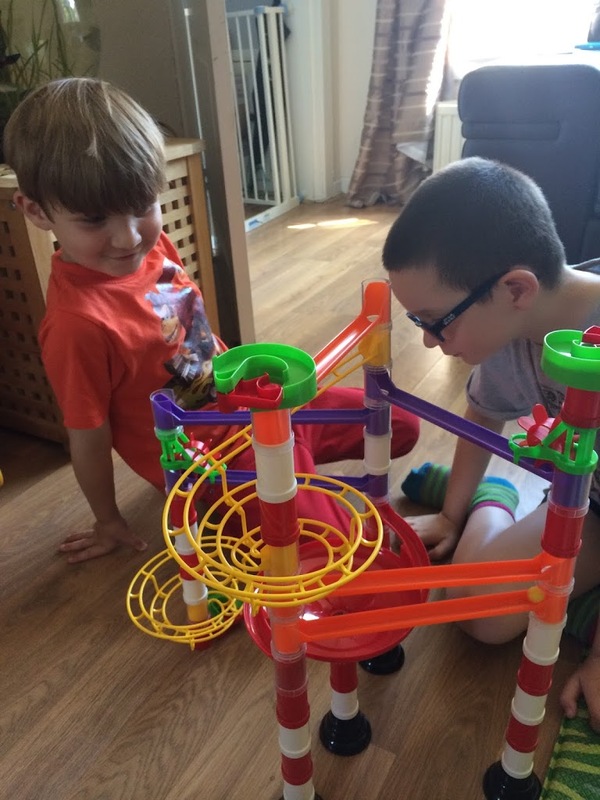 Although you don’t have build what’s on the box, you can do your own marble run fun. We chose to do this to begin with. We have since built various different runs. 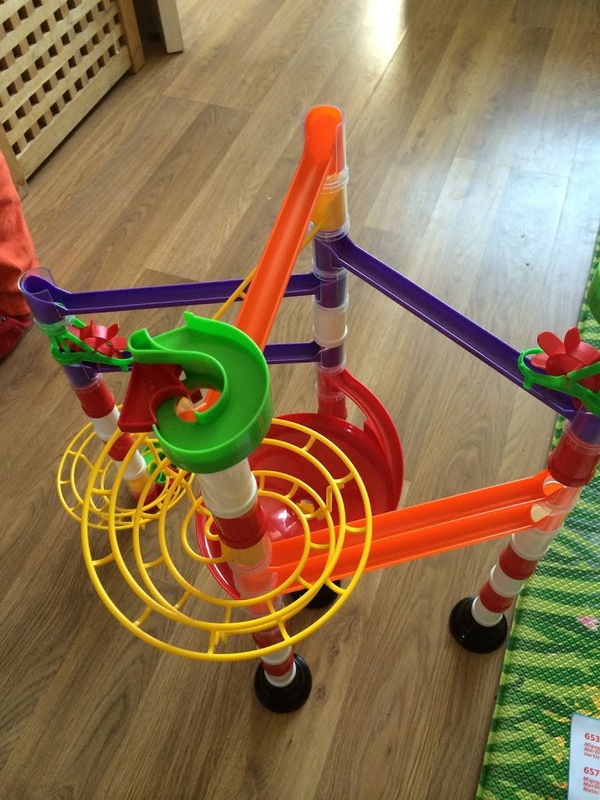 The Quercetti Marble Run was a lot easier than I thought to build. Initially it seemed a bit unsteady and I wasn’t sure it would work that well, but once all the pieces were in place it was sturdy and worked perfectly, unless you put all the marbles in the same bit at the same time as you’ll see on our video. The pieces are made of plastic and work well, they are light, easy to put together and take apart again for storage. The box is well made than you can put the pieces back in and put away for another day. Although it says it’s for ages 8 and above my boys are 5 1/2 and 7 1/2 and built this fine, yes they had some help from me, but they loved this and so did I. We had to keep it away from baby girl as she would have trashed it as toddlers do. Not forgetting there are lots of little coloured marbles. I’d recommend building this up and out of the way of anyone under the age of 3. And what happened when we poured all the marbles in at once. We really love this toy and have had many hours of fun and laughter playing with it. It takes a little patience to build and isn’t a toy that can be used straight out the box, but tens to fifteen minutes in and you have a great toy. You can use it for education of gravity and finding out if they marbles will travel up hill, etc. This makes a great toy for a rainy day over the Summer and dad’s love it. 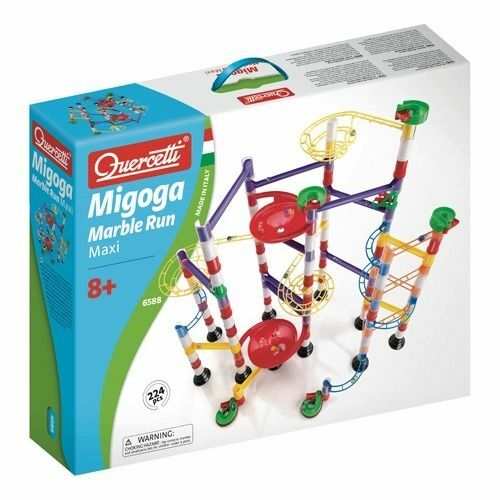 The Quercetti Marble Run Toys are available from Kind Toys. They would make a great birthday present, great fun for kids and adults of all ages. I would say it’s not suitable for under 3’s, but over 8’s could build on their own. Under they would require some adult help or supervision. Also to support #AsobiAmbassadors, Kind Toys are offering a 20% discount off all Quercetti prodcuts throughout August using discount code QUERCETTI at the checkout. 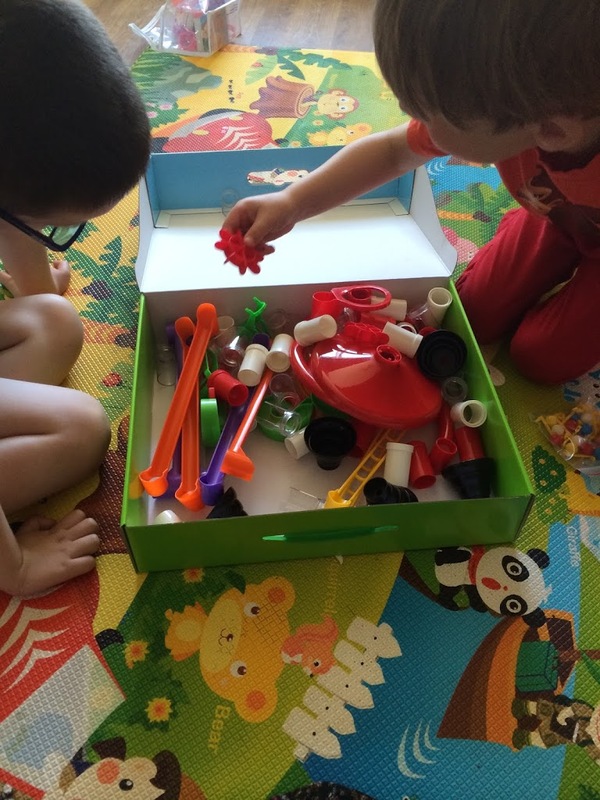 The other Asobi Ambassadors have been reviewing different The Orb Factory Kits, see what they thought of them and enter their competitions too Edspire, A Mummy Too and Lilinha Angel tried out.